After crafting your website, the next step usually involves taking care of search engine optimization (SEO). With that in mind, creating a sitemap is one of the tasks that you will need to solve. According to the protocol, sitemaps are UTF-8 encoded XML files that describe the structure of your site. They are quite simple, but for large sites creating them by hand is not an option. 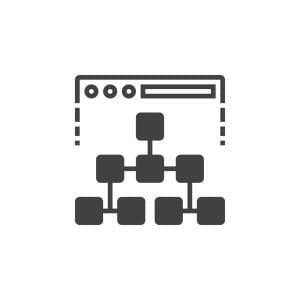 Therefore, it’s a smart move to automate generating sitemaps. In this article we will see SitemapGenerator in action by integrating it into a sample Rails app and discussing its main features. I will also explain how to export sitemaps to cloud storage so that everything works properly on platforms like Heroku. The source code for this article is available at GitHub. I will be using Rails 5.0.1 but SitemapGenerator works with virtually any version. We will need some sample models, routes, and controllers. Views can be omitted for this demo – it does not really matter what content the site actually has. Great! Before proceeding, however, let’s also take care of sample data inside our application. Nice! Preparations are done, so let’s proceed to the main part. Note that this gem also supports multiple host names. Note that here I’ve also provided the :lastmod option to specify when the page was last updated (the default value is Time.now). Generated sitemaps will be placed inside the public directory with the .xml.gz extension. You may extract this file and browse it with any text editor. If for some reason you don’t want files to be compressed with GZip, set the SitemapGenerator::Sitemap.compress option to false. SitemapGenerator may create an index file depending on how many links your sitemap has. By default (the :auto option) if there are more than 50 000 links, they will be separated into different files and links to them will be added into the index. You can control this behavior by changing the SitemapGenerator::Sitemap.create_index option. Other available options are true (always generate index) and false (never generate index). If you wish to add a link directly into the index file, use the add_to_index method that is very similar to the add method. SitemapGenerator::S3Adapter.new contains configuration for S3. To obtain a key pair, you need to log into aws.amazon.com and create an account with read/write permission to access the S3 service. Do not publicly expose this key pair! Also create an S3 bucket in a chosen region (default is us-east-1). Next, we are setting tmp/ for the public_path option – that’s the directory where the file will be initially created before being exported to S3. sitemaps_host should contain a path to your S3 bucket. sitemaps_path is a relative path inside your bucket. Some more information about this configuration can be found on this page. because otherwise SitemapGenerator will ping search engines with both the direct link and http://example.com/sitemap. This is it, now your site is ready to be published to Heroku! We’ve reached the end of this article! By now you should be familiar with SitemapGenerator’s key features and be able to integrate it into your own application. If you have any questions, don’t hesitate to post them into the comments. Also, browse the gem’s documentation, as it has a number of other features that we haven’t discussed.